Genetic testing in breast cancer has advanced rapidly over the last decade, offering therapeutic options and providing early screening opportunities, says Michael Simon, MD, MPH. 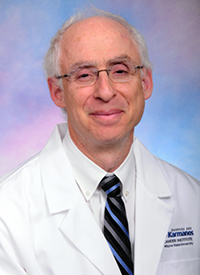 In a presentation during the 2018 OncLive® State of the Science Summit™ on Breast Cancer, Simon, a medical oncologist at Karmanos Cancer Institute, discussed advances in genetic testing for breast cancer, highlighting the overlap between genomic risk assessment and tumor genomic profiling. Simon said that historically practice has followed a pedigree that includes identifying at-risk families, genetic counseling and testing, Sanger sequencing, and advice on risk management. Limitations of this include the fact that Sanger sequencing does not detect copy number changes of complete exons, and that a high cost is associated with it. On June 13, 2013, the US Supreme Court ruled 9-0 against patenting of human genes. Very soon after that, multiple laboratories began offering genetic testing for BRCA1/2 as well as for panels of other genes, said Simon. This led to next-generation sequencing (NGS), which allows researchers to process millions of genes simultaneously. NGS generates large amounts of data, which allows researchers to make genotype to phenotype correlations. The variant that occurs third most often, P53, is associated with Li–Fraumeni syndrome, which is known to signify a very high risk of early onset cancer. Testing methods for these genes include multiplex panel assays and cascade testing. Additionally, there are therapeutic implications if a mutation is discovered in a patient’s breast cancer, such as treatment with PARP inhibitors that are specifically used in patients with BRCA1/2 mutations. Some of the limitations are the variants of uncertain significance (VUS), incidental surprise results, uncertain recommendations, and inconsistent results. VUS are likely pathogenic, Simon said, and if a patient comes in and has a result disclosing a VUS, the laboratory will eventually be able to reclassify the change. But outright, it is uncertain. However, a surprise result would be the appearance of the CDH1 mutation on the panel test, he said. CDH1 is associated with hereditary gastric cancer. Uncertain recommendations would occur in a situation where a patient displays a variant that does not have evidence-based data to suggest a course of action. Inconsistent results would be categorized as an instance wherein labs report differing results, which lead to no definite course of action.